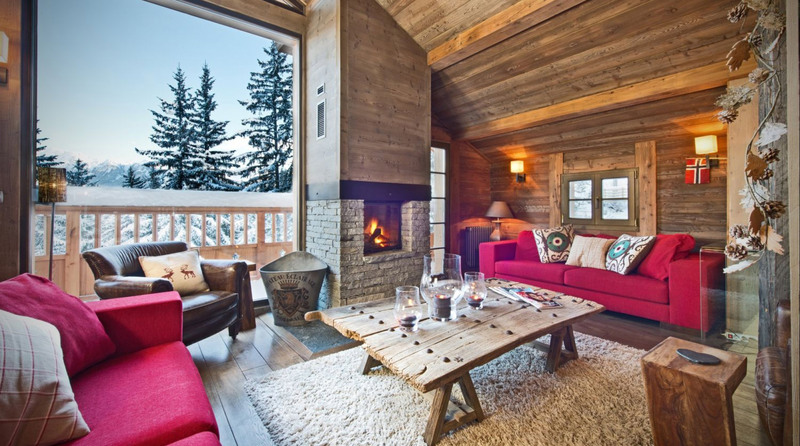 New in 2014, this 5* luxury, detached chalet is situated on the edge of the Moretta Blanche piste in a private cul-de-sac so the slopes are just a few steps from the chalet boot room. The resort centre is under a 10 minute walk, but our all day in-resort driver service will mean that there will be no need to walk anywhere unless you want to! The beautiful open plan lounge dining area has floor to ceiling windows and plenty of comfy seating round the log fire. There is a large cinema room, a large, heated boot room, sauna spa area with large rain shower, and a private outdoor hot tub. There are five bedrooms (sleeping 10), three of which are en-suite with kingsize/twin beds. The fourth bedroom is a mezzanine double with access to the master bedroom's bathroom, and the fifth bedroom is a bunk bed room. 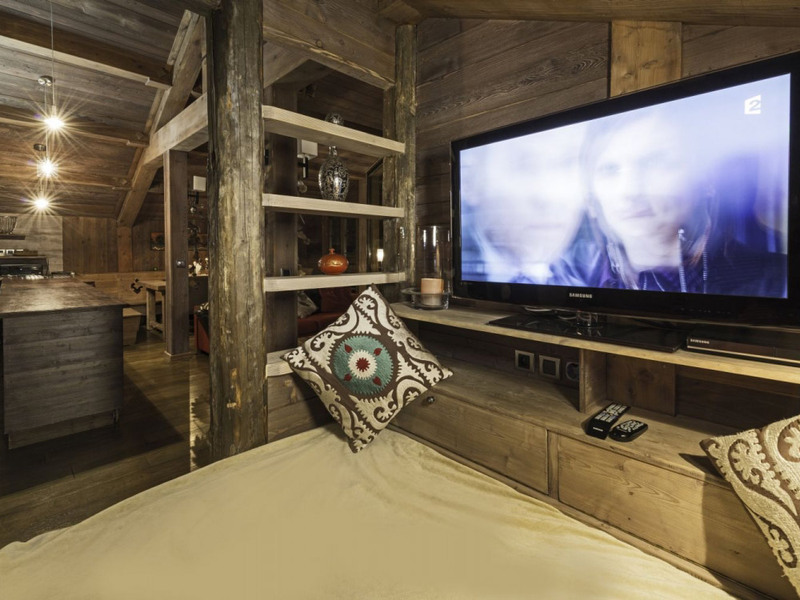 This chalet is self catered but includes daily housekeeping, a 24 hour concierge service and an all day in-resort driver service. On the Moretta Blanche piste in La Tania, Three Valleys. Chalet Belvedere is a self-catering chalet, so the food is as good as you make it! However, to make life easier and get you in the holiday mood we do supply a welcome pack - this includes tea, coffee, fresh milk, biccies, sugar, butter, jam, marmalade, fruit, cereal and some basics (oil, salt, pepper, etc). We also help you with cleaning supplies - dishwasher tablets, washing up liquid, sponges, cling film and aluminium foil. Plus a bottle of bubbles to enjoy around the fire. From your first enquiry to the very end of your stay, we believe in offering a personal service that exceeds your expectations. 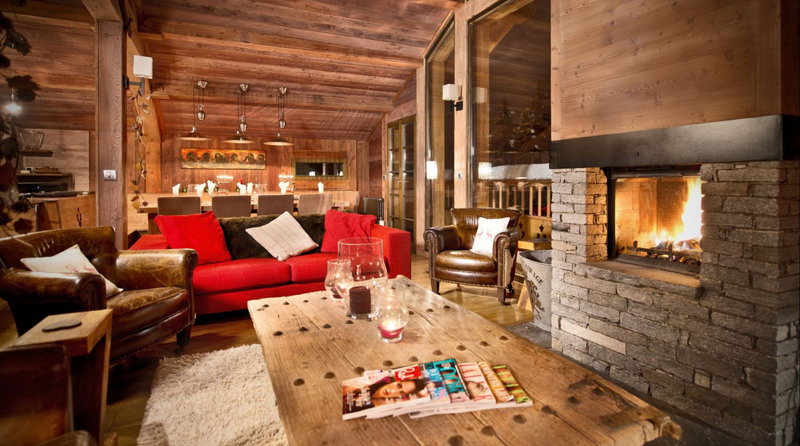 Our knowledge of ski holiday hospitality means that we understand every client’s individual needs and expectations. Whether you need help with arranging travel to the chalet, booking ski lessons, or even a massage or lunch appointments, we’re at your disposal! Please don’t hesitate to ask for help. Or why not try a snow shoe tour through the forests of La Tania? Visit the five linked villages making up the Courchevel Valley, where there is a great deal on offer for non skiers, from tenpin bowling, swimming, and ice skating - there need never be a dull moment. KIDS! HEY, WE LOVE EM! 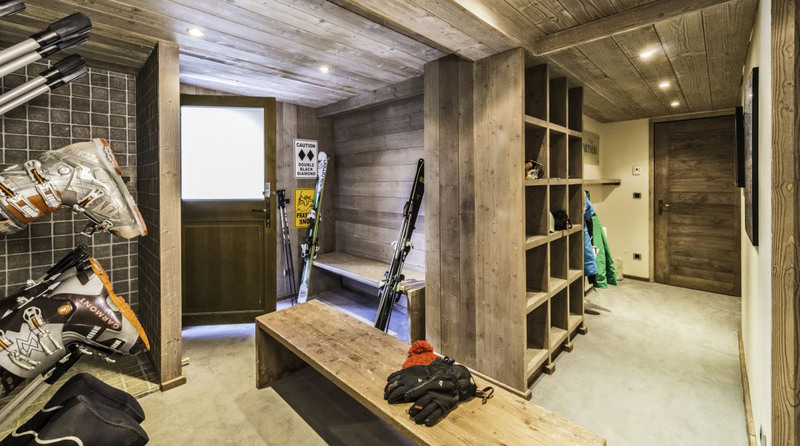 Staying in a chalet is the most family friendly way to enjoy a ski holiday as it means parents can really relax, and our chalets are so close to the slopes that getting started couldn’t be simpler. Babies and young children can be cared for by a qualified nanny (an extra cost), which our concierge can help you reserve. Your children’s day will be filled with fun and activities in the comfort of the chalet and around the village. Older children can be taken to and picked up from ski school to enable parents to enjoy a full day on the slopes, and lunch time rendez-vous can be arranged so that the whole family can enjoy lunch together. Please contact us for availability and a price quote. 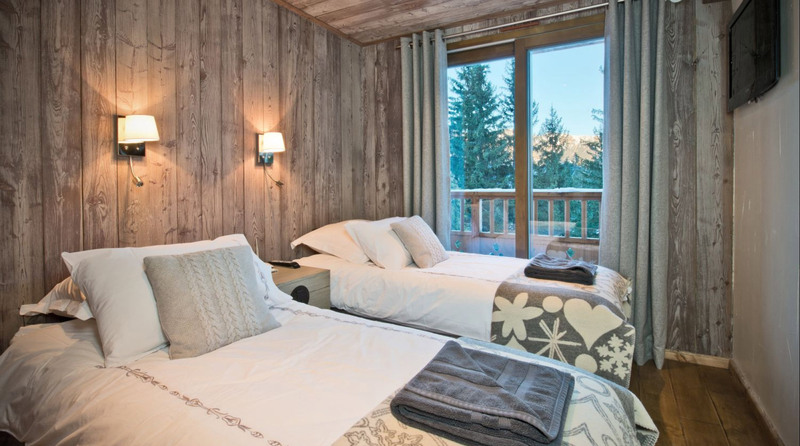 Our guests have often appreciated the service of SnowBugs, who offer a high quality, friendly and trustworthy private nanny service, entertaining your little ones in the comfort of your own chalet. Please ask for details. On the Moretta Blanche piste in La Tania, Three Valleys - enjoy the convenience of ski in/ski out but only 10 minutes walk to the pedestrianised village centre. 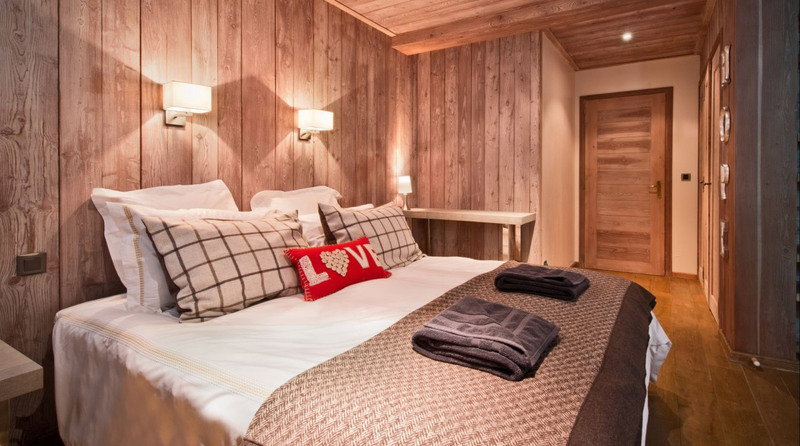 Our ski chalets are located in La Tania, a pretty village set on the forested mountainside in the Courchevel Valley. The resort has become popular due to its picturesque setting and convenient access to the incredible Three Valleys – truly a skier’s/boarder’s paradise. It’s rare to queue on the high-speed ski lift system from La Tania which whisks you up to the quiet intermediate slopes. From there, the largest ski area on earth beckons, with 600km of beautifully-groomed pistes to cruise and terrain to challenge or flatter every level of skier. 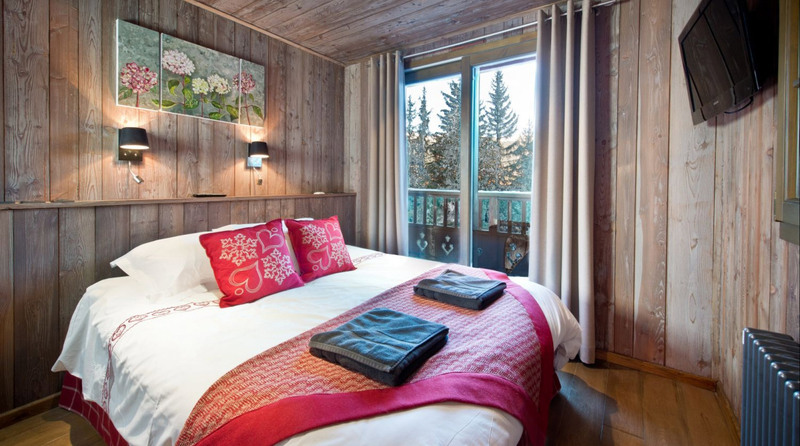 The friendly village of La Tania is within walking distance of all our chalets, and its tranquil traffic-free centre is perfect for families. Restaurants and bars overlook the nursery slopes which run through the heart of the La Tania and there’s a popular sledging spot for the young at heart!